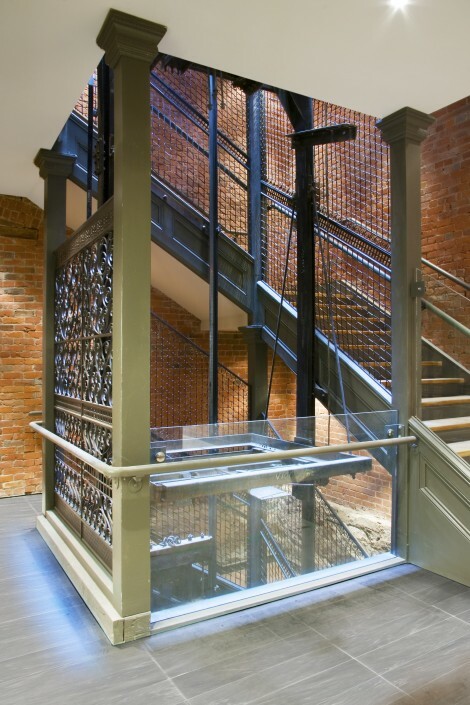 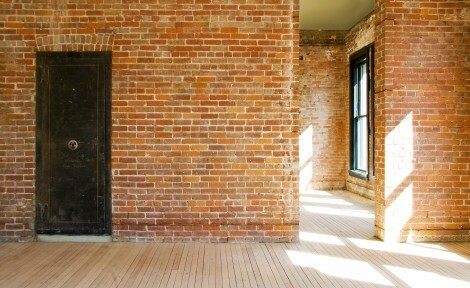 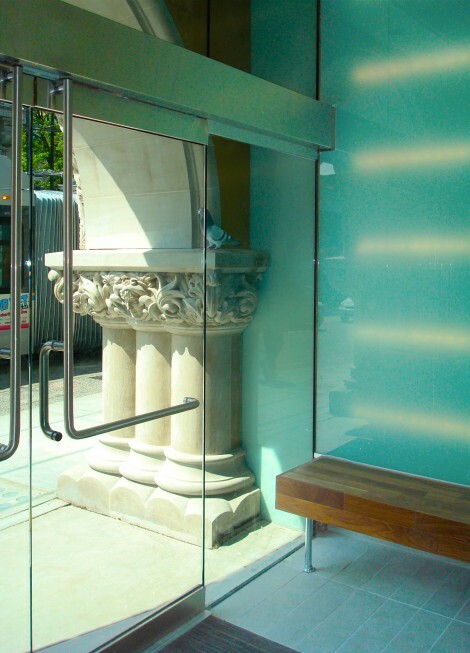 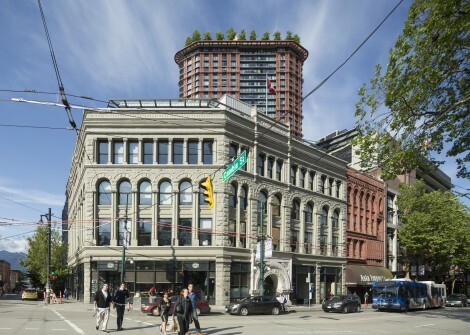 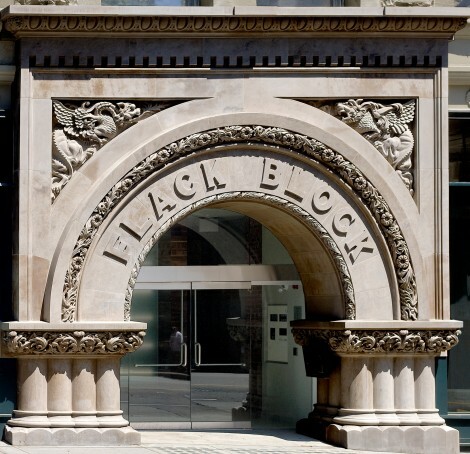 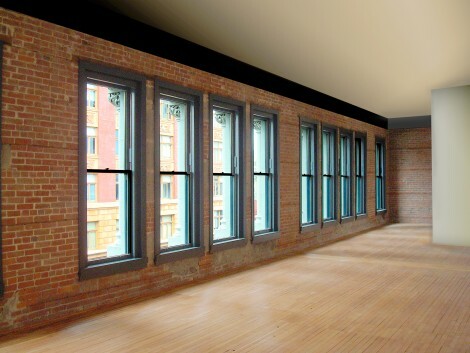 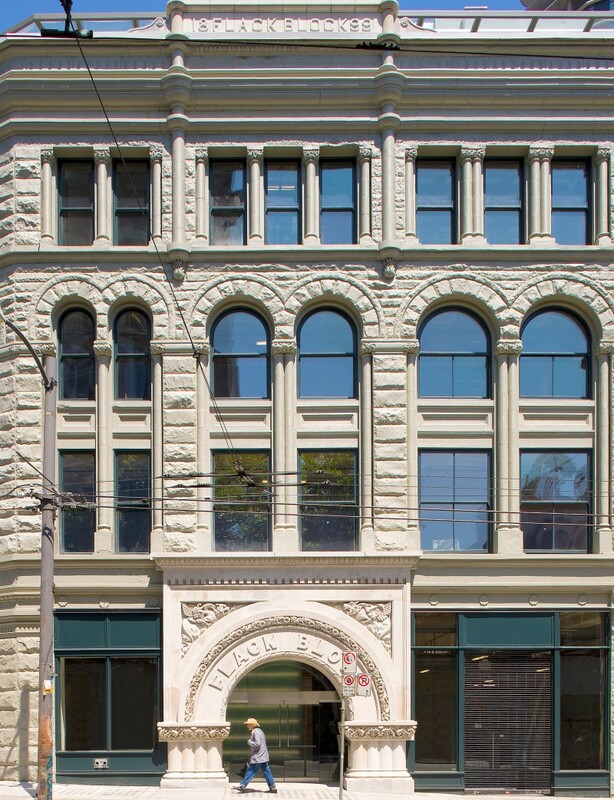 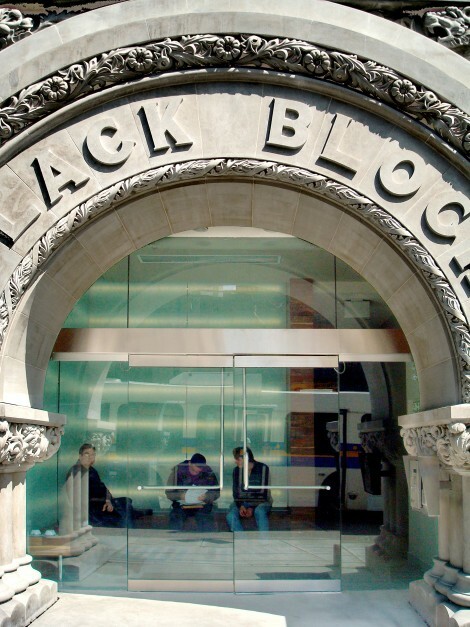 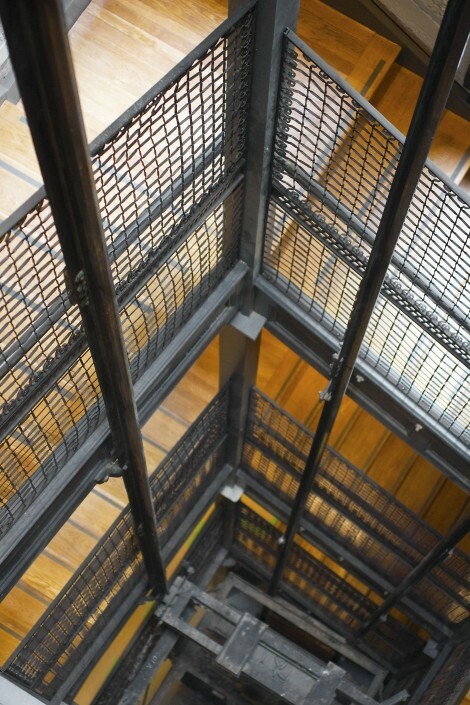 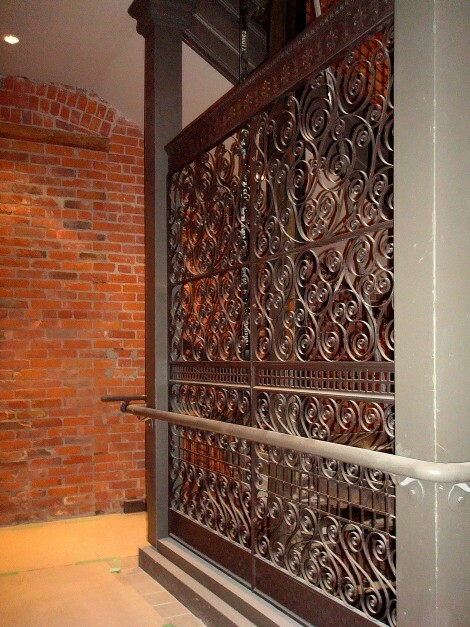 Located in the historic Victory Square district of Vancouver, the 4,670 square metre, four-storey sandstone and brick Romanesque Revival style Flack Block underwent an intensive rehabilitation and restoration process that was completed in 2009. 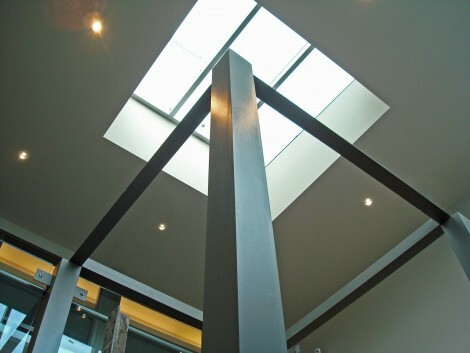 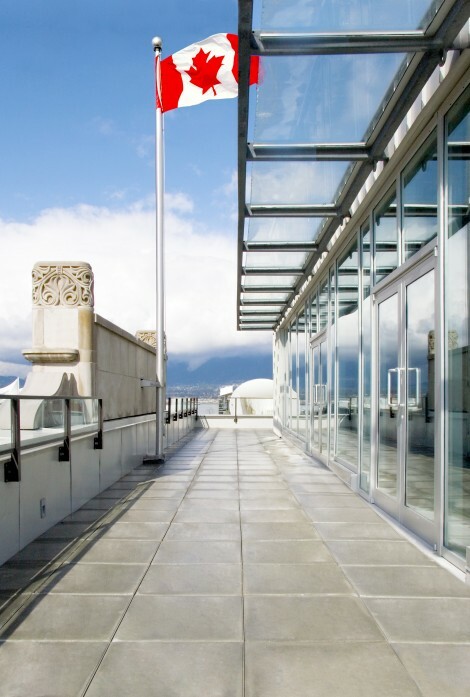 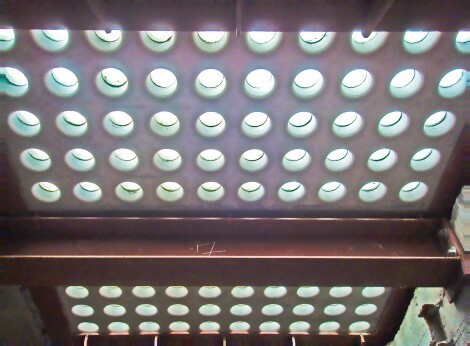 The project included extensive seismic, mechanical and electrical upgrades with ground floor retail space, LEED Gold commercial interiors and a new steel and glass penthouse addition. 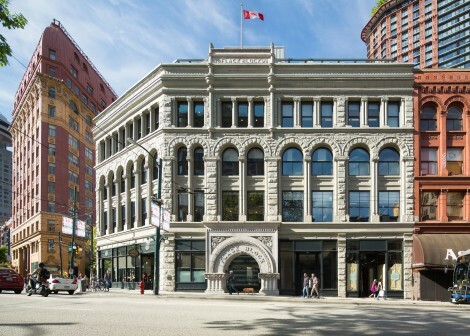 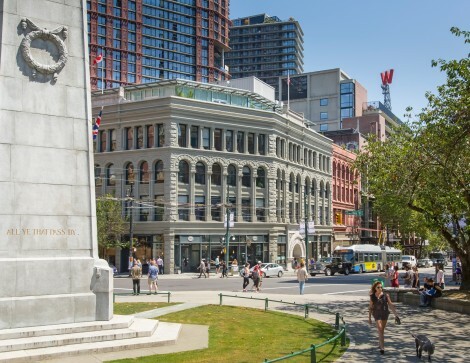 Originally built between 1898 and 1900, the heritage revitalization was supported through the City of Vancouver heritage incentive program and the federal government’s commercial heritage properties incentive fund. 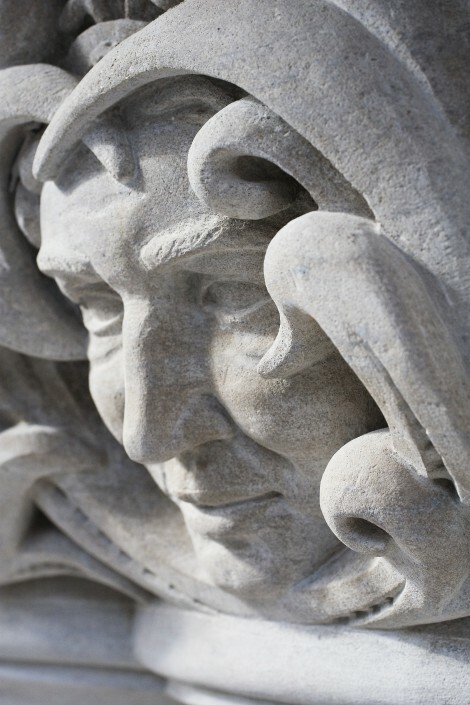 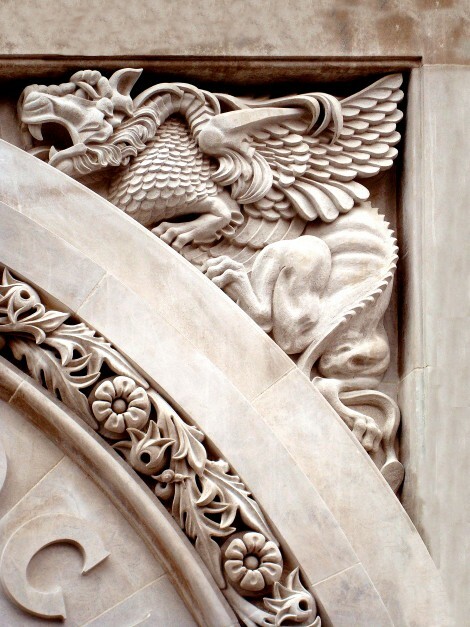 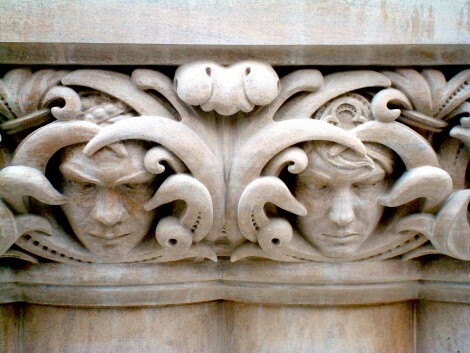 The restoration features the reconstruction of a stunning, intricately carved sandstone entry archway that was reproduced from old photographs.